The <nav> tag specifies a group of navigation links. All links of a document should not be inside a <nav> element. The <nav> element is designed only for main block of navigation links. The <nav> tag belongs to flow content, sectioning content and palpable content. The <nav> tag supports Global Attributes and Event Attributes. <nav> tag not supported in HTML4. <nav> tag is new to HTML5. The <nav> tag is used to define the set of navigation links. 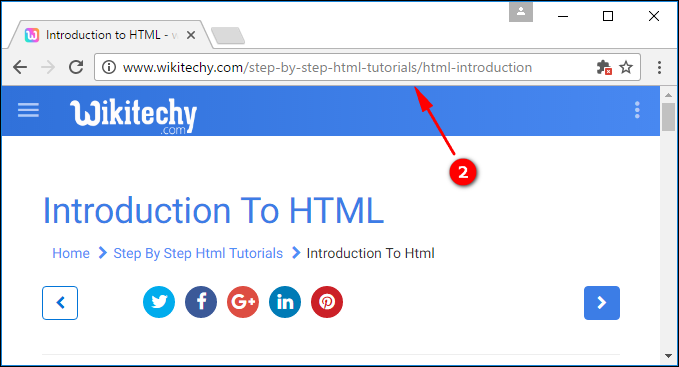 <a> tag specifies a hyperlink to the “HTML Tutorials”. href attribute used to define the location of the linked document. 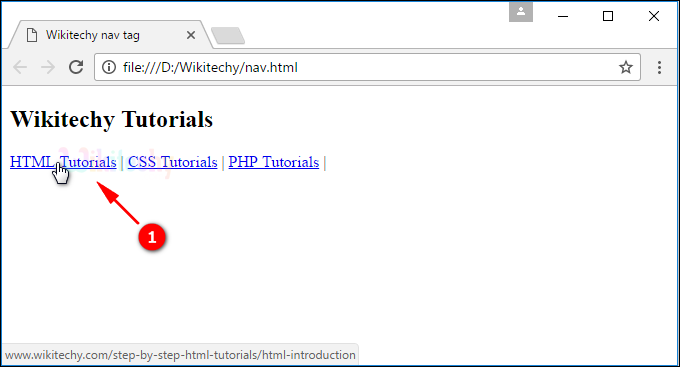 Set of tutorials list shown in a navigation. When user click the link that navigate to the specified page.